Frozen My Little Pizza by Blind Box Playhouse x Kidrobot! They often say that the apple doesn’t always fall far from the tree, and that is certainly the case with Lyla & Piper Tolleson. Having a father such as the talented Mr Scott Tolleson certainly helps, but the Tolleson girls have been killing it in their YouTube Blind Box Playhouse channel. 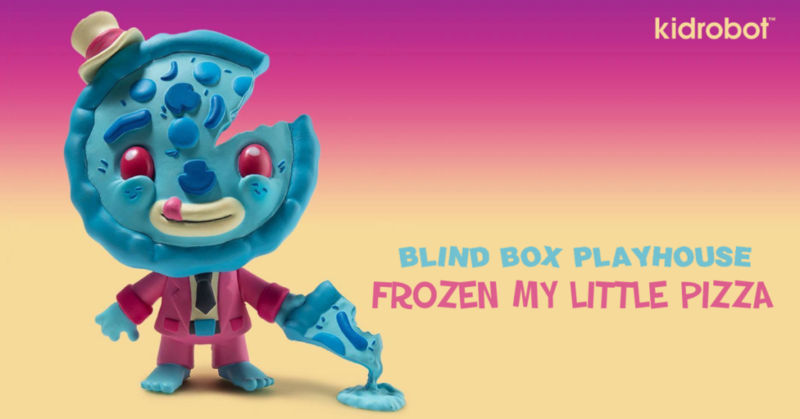 It has been revealed that Blind Box Playhouse have been working with Kidrobot to bring you a crusty ol’ fellow in the form of Frozen My Little Pizza! No release details yet on this cheeky chappie, but once we hear anything further, we’ll update you as per tradition. You can find Blind Box Playhouse on Instagram HERE.